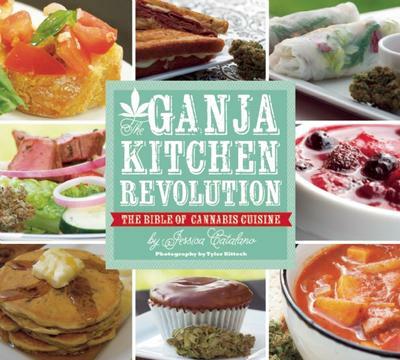 Written for all levels of kitchen skill, The Ganja Kitchen Revolution explores a whole host of international culinary influences and pairs every recipe with a cannabis strain whose flavor complements that of the dish—creating a whole new type of cannabis cuisine than spans the globe! With extraction methods that include oils, extracts, nut butters, and the infamous cannabutter, The Ganja Kitchen Revolution allows the reader to medicate more recipes than ever before while ensuring that the joy of eating is never compromised in the process. The revolutionary new dosing chart means that finding the right dose has never been easier. With comprehensive step-by-step photos for every recipe, anyone can create fantastic medicated dishes. This book will change the way we all cook with cannabis. The Ganja Kitchen Revolution is about taking nutrient rich dishes then adding strain specific medical cannabis for medicinal effects and specific flavors, so that each dish becomes the best well rounded gift I can give to a patient in need of therapeutic alternative medicine. Jessica Catalano is a professional culinarian and medical cannabis advocate who has combined her two loves of food and cannabis into stylish medicated dishes for Medical Cannabis patients. Catalano specializes in strain-specific medicated cooking and baking that enhances the flavor profiles of the dishes she creates. Catalano is a medical cannabis patient herself and has been cooking with marijuana since early 1997 for medicinal purposes. She continues to strive for excellence both in cooking, baking and medical cannabis knowledge. Her goal is to help as many medical cannabis patients as she possibly can creating a better quality of life for them. She will explore the health benefits of cooking with cannabis and when balanced with good nutrition can help promote a longer and more fulfilling life.